Get ready to get your free Slurpee fix this weekend. To celebrate 7-Eleven's 88th birthday this year, participating locations will be giving away small Slurpees on Saturday. True to the store's name, you can only get these sweet drinks from 11 a.m. to 7 p.m. on July 11. "7-Eleven Day is a celebration, not only of our birthday, but more importantly, of our customers," said Laura Gordon, 7-Eleven vice president of marketing and brand innovation in a news release. According to the company, the iconic frozen carbonated drink was introduced in 1966 and has since expanded its flavor offerings from the classic wild cherry to the new Sour Patch Watermelon. 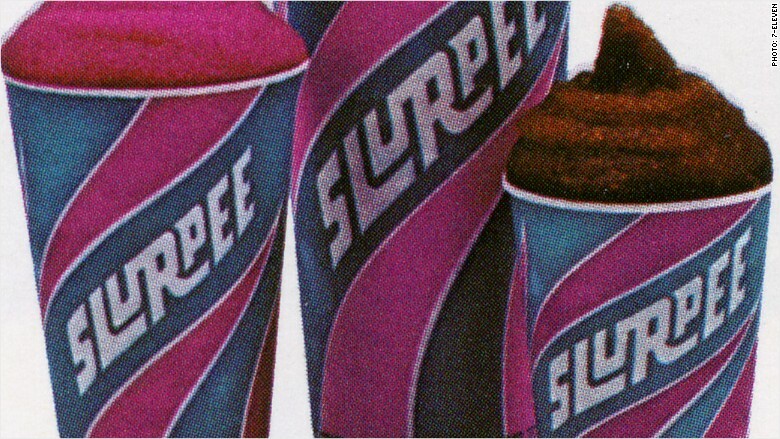 This is one of early Slurpee cup designs used in 1973. "Last year, our Slurpee party was 8 million strong. We expect it could be even bigger this year. Even without the millions of free birthday Slurpee drinks given away, July is the biggest month of the year in terms of Slurpee sales," Gordon said. "What better drink for the hottest month of the year." 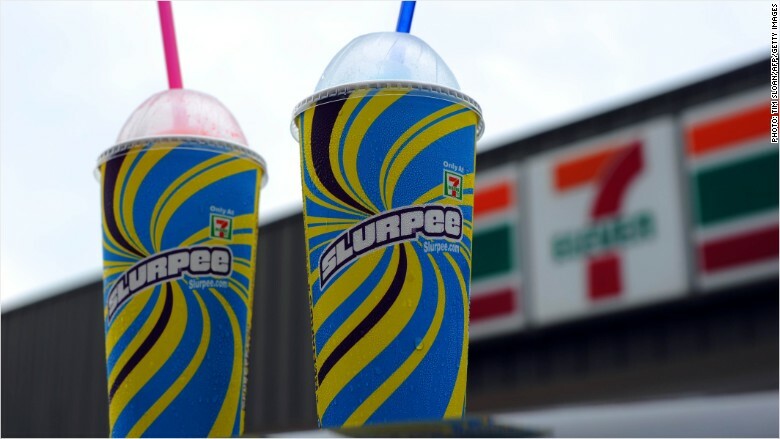 The store has been giving away free Slurpees on "7-Eleven" day since 2002. It's not to be confused with "Bring your own cup day" which was held in April, where customers brought any sanitary container 10 inches in diameter to fill it with the frozen drink.